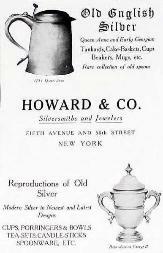 Humphrey P. Horton Silversmiths, watchmakers, and jewelers. Purchased Samuel Bell's business in 1852. 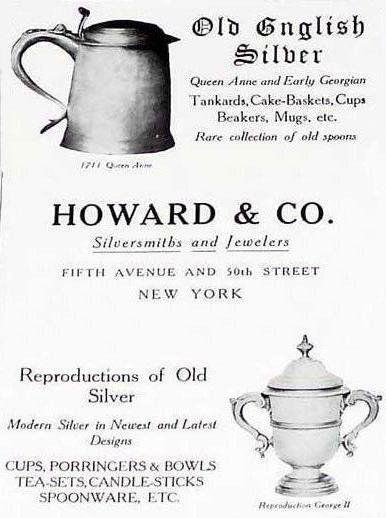 In the partnership of Horton & Rikeman 1850-1856.
were acquired by the Roger Williams Silver Co. See flatware patterns. Branch stores were located in Newport, RI (1880 to 1937) and Paris, France. bottom position was used after 1864.
the founders of Hotchkiss & Schreuder in 1857 and remained in the firm until 1871. In the partnership of Brown & Brown with Liberty Brown in 1799. A partnership between Stanford Hovey and Amos Parker. David Hotchkiss and Benjamin R. Norton. Ignatus Hottenroth and Felix Ferjeaux Cachot. and Stanford Hovey & Co. 1854-1869.